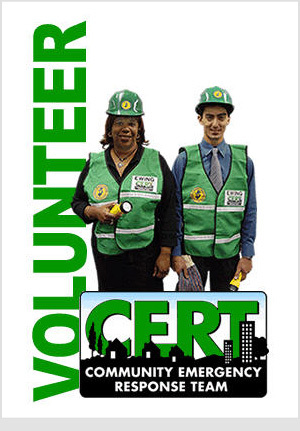 CERT is a program designed to train residents to assist safety personnel and Gardena staff in the event of a major disaster. Volunteers from the community are trained in first aid, light search and rescue, minor fire suppression and other skills that are critical in the first few hours of a disaster. 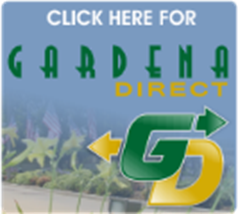 Employees of the City of Gardena take great pride in their City and in the services that they provide its residents. Your first responders continually train and prepare for possible disasters that may affect our City. Disasters large and small can occur at any time and strike without warning. The City of Gardena has prepared a Disaster Plan that complies with the State of California’s Standardized (SEMS) and is complying with the CERT VolunteerNational Incident Management Systems (NIMS). As we have witnessed in other areas, local, country, state, and federal government resources will be deployed in the event of a disaster. Depending on the nature and severity of disaster, assistance may take up to three days to reach some individuals. Lessons learned from the Katrina Hurricane tell us that in a large scale disaster, help may take up to one week before it arrives. With this in mind, Disaster Preparedness must also be a personal responsibility for all members of our community. It is our goal to assist our citizens before, during, and after any type of disaster. With this in mind, there are some simple steps that you can take to prepare yourself and your family in the event of a disaster. Learn about your community and what hazards may be near you. In Gardena, earthquakes are believed to be the possible disaster of most concern. If you work in the City, ask if your place of employment has a disaster plan. Water – The average is one gallon of water per person per day. Food – Non-perishable foods that take little preparation, little cooking, and little water. Don’t forget food for people on a special diet (infants/seniors). First Aid Kit (One for your house and car) – include a one-week supply of both prescription and non-prescription medications. Tools and Supplies – Battery operated radio and flashlight with spare batteries and bulbs, fire extinguisher (ABC Type), wrenches to turn off gas and stop leaks, Duct tape, plastic sheeting, andsanitation supplies. Clothing and Bedding – sleeping bag or bedding material, rain gear, hat, gloves, and sturdy shoes/boots. Special Items as needed – only you know about special needs for you and your family. Store your supplies in a convenient location and keep a smaller version of this kit in your car. Items should be stored in an airtight container or bags. Food and water should be rotated every six months. Rethink your plan and update it yearly. This is only a small example of how you should begin to plan for emergencies. To learn more about disaster preparedness visit these sites: www.fema.gov, www.redcross.org, and www.oes.ca.gov. Should you need more information, or if you would like to have a representative from the Gardena Police Department come speak to your group or organization about Emergency Preparedness, please call Lt. Vince Osorio, Gardena E-PREP Coordinator: 310-217-6188 or email vosorio@gardenapd.org.